SUCCUMBED AT HOME OF HIS DAUGHTER IN GAINESVILLE -- DEATH WAS SUDDEN AND CREATED MUCH SURPRISE -- LOST BLOOD GUSHED FROM WOUND INFLICTED BY HIS OWN MEN AT THE BATTLE OF THE WILDERNESS -- HE WAS UNITED STATES RAILWAY COMMISSIONER AND ONE OF THE GREATEST CONFEDERATE GENERALS OF THE CIVIL WAR. 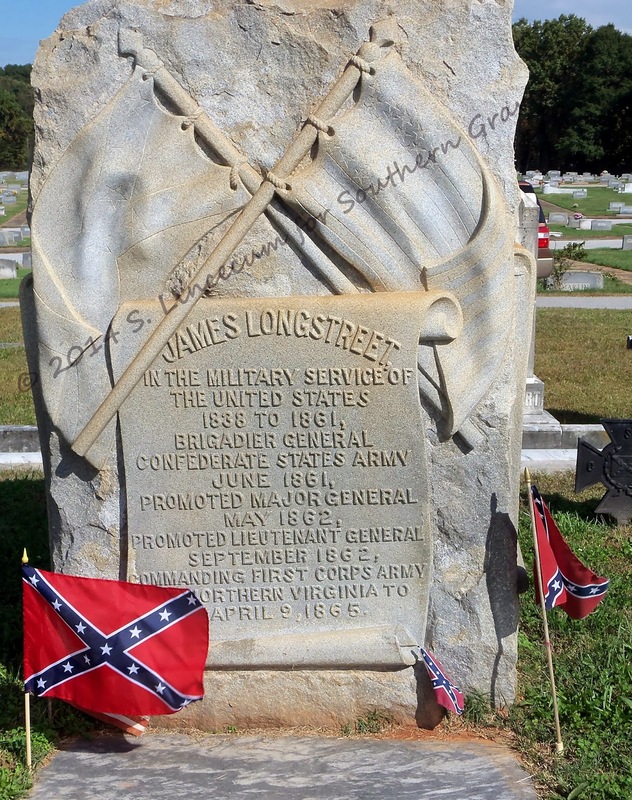 GAINESVILLE, Ga., Jan. 2 -- Gen. James Longstreet, hero of the Mexican war, the last of ranking lieutenant-generals of the Confederacy, United States railway commissioner, author, politician and statesman, died at the home of his daughter, Mrs. J. Estin Whelchel, College avenue, this city, at 5 o'clock this afternoon, of pneumonia. His death was sudden and created the greatest surprise to his family and friends. 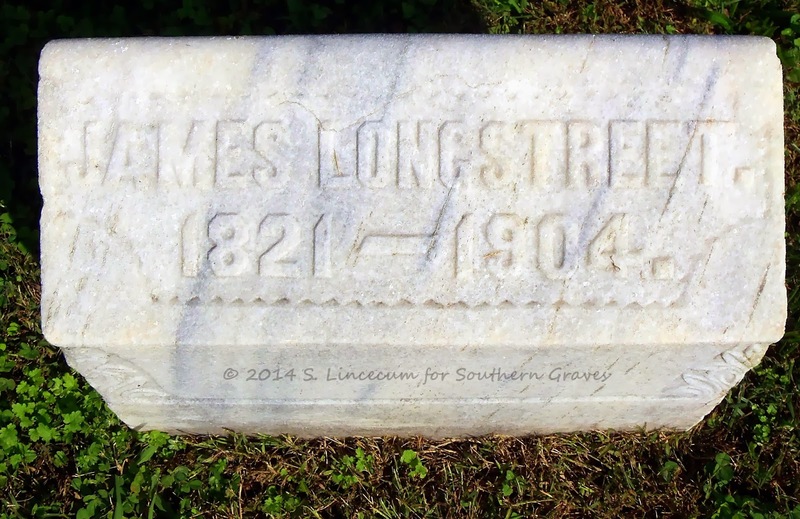 His wife, his daughter, his sons, John G. and F. Randolph Longstreet, were at his bedside when death ensued. He had a hemorrhage, fell back upon his bed, lapsed into unconsciousness and died in a few moments. Through his mouth and the old wound in his throat, received by him at the battle of the Wilderness, through mistake of his own men, blood rushed, and medical aid could avail nothing. The pallor of death encircling his features, the greatest warrior of modern times passed away..."
"...Gen. Longstreet was twice married, his first wife being a daughter of the late Gen. John Garland, U.S.A., five children being issued, viz., John G. of Atlanta, R. Lee of Washington, D.C., James, captain in the Thirteenth cavalry, U.S.A., now in the Philippines, F. Randolph of this city and Mrs. J. E. Whelchel. His first wife died fifteen years ago. In 1897 he was again married to Miss Ellen Dortch of Carnesville, former assistant state librarian..."
"...the funeral and interment will occur here, the body being laid to rest by the side of his wife in the family lot in Alta Vista cemetery." I am the granddaughter of Betty Jane Longstreet. 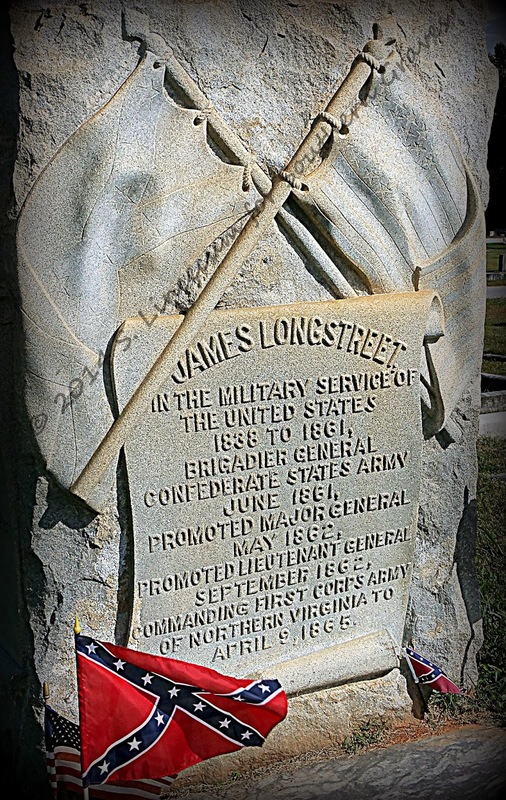 I believe General Longstreet was my grandmother's 4th great grandfather? My cousins Colleen and Shannon Longstreet as well as myself, are trying to figure out the lineage. Any chance you have information that could help us? Per Colleen..."We have hit a brick wall with our great great great grandfather listed as David Longstreet ( born in Allegheny Pa) married to Laura McArthur on George William's death certificate".